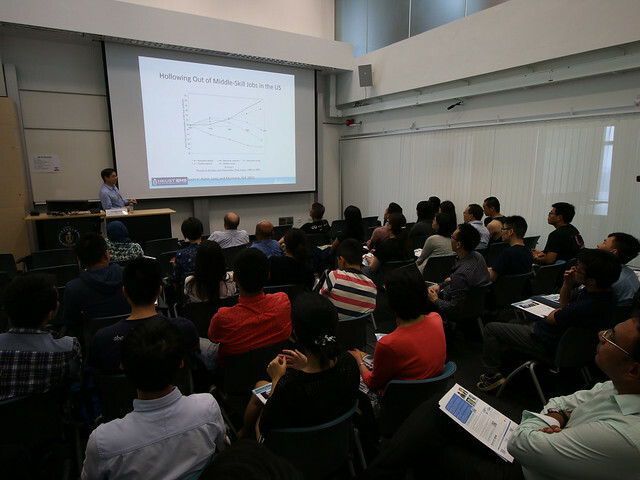 In this presentation, Prof. Park discusses the current challenges facing China’s manufacturing sector and discusses how Chinese manufacturing firms in the Pearl River Delta are coping with slowing demand and rising wages. Analyzing firm and worker data from the China Employer-Employee Survey (CEES), he provides new evidence on how firms are responding to rising labor costs (downsizing, relocating, restructuring), assesses how the demand for different skills and tasks differs across firms with different characteristics, and draws implications for future of labor demand and wage inequality in China. Albert Park is a development and labor economist who is an expert on China’s economic development. His research has been featured by the Economist, New York Times, Wall Street Journal, BBC, CNN, and NPR. Professor Park is a Research Fellow of the Centre for Economic Policy Research (London), the Institute for the Study of Labor (IZA, Bonn), the International Growth Centre (Oxford/LSE/DFID), and the Human Capital and Economic Opportunity Working Group (Chicago). In recent years he has published articles in leading economics journals on firm performance, poverty and inequality, migration and employment, health and education, and the economics of aging in China. He currently serves on the editorial boards of the Journal of Comparative Economics, Oxford Economic Papers, and Chinese Economic Review. 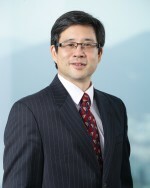 Prof. Park has co-directed numerous survey research projects in China; currently he is PI for a new firm-worker survey in the Pearl River Delta, PI for the Gansu Survey of Children and Families, a longitudinal study of rural youth, and co-PI for the China Health and Retirement Longitudinal Study (CHARLS). He previously held faculty appointments at the University of Michigan and Oxford University, and has consulted frequently for the World Bank. Globalization and lack of structure change has not increased demand for high-skill jobs in China. Meanwhile inequality has already reached a high level despite decades of employment and income rise. One should be concerned that future, inevitable global processes such as automation and outsourcing may further increase inequality.